IMDb has listed the “Top 10 Video Games of the Decade (So Far)”. This list is as per user ratings on IMDb. 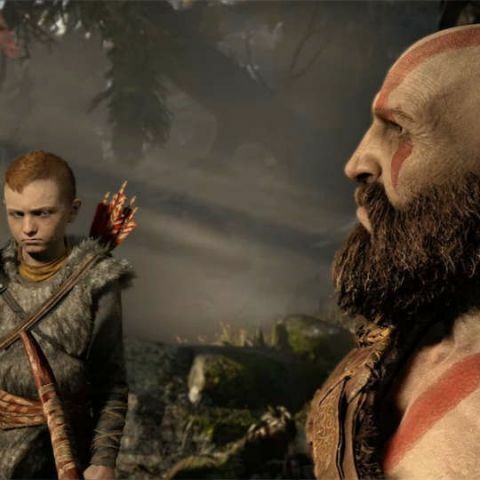 We are at the end of the 2010’s and before the 2020’s begin, IMDb has compiled one of the most important lists in the world of entertainment – Top 10 video games of the Decade (so far). The 'so far' is very important as games such as Death Stranding, Last of Us Part 2, Read Dead Redemption 2 and more are yet to release. None the less, if you are a console or PC gamer, chances are you’ve played most of the games on the list. Here is IMDb’s list of the top 10 games of the decade so far. It’s no surprise that the top two games on the list are Sony exclusives. What is surprising is that the number one game is God of War. It is definitely a contender for game of the year 2018 but the fact that it released in April and is already number one is a testament not only to the franchise and the development studio, but also to gamers who wanted to see the Greek god in action once again. Having reviewed the game, I can tell you that it is one of the best games I have ever played. The graphics are stellar, the gameplay in engaging and the story is one filled with emotions. Now, if only the team would hurry up and release the new game + mode so I can enjoy the game once more without losing all my powerups! The second game on the list is the Last of Us and if there is one game that has redefined emotions, visuals and storytelling in a game, it is the Last of Us. This is yet another exclusive to Sony’s platform originally released for the PS3 and remastered for the PS4. The story is set in a post-apocalyptic world destroyed by a disease that makes humans zombies. The catch, a young girl could be the cure. It is the opening sequence and the closing sequence of the game that will make you very emotional to the point of tears. I can’t wait to get my hands on the sequel. The number three and four spots are held by one of the best RPG games and its DLC (which is long enough to be a game in itself). The Witcher 3 is proof why Cyberpunk 2077 was the showstopper at E3 2018. CD Project Red has a reputation of creating some fantastic fantasy worlds and the Witcher 3 is one of the best. The rest of the list is full of some fantastic games with number 6 being another Sony exclusive from the same studio that brought us the Last of Us. Uncharted 4 is one of the best cinematic games out there. If National Treasure (the movie franchise) and Indiana Jones had a love child in the form of a video game, it would be Uncharted 4. One very interesting thing to notice is that there is no Xbox Exclusive on the list. All the third-party games on this list are playable on the Xbox, however, Microsoft’s console this generation lacks exclusives that could be described as system sellers. Microsoft has acquired a bunch of game studios this year and I guess we will have to wait for IMDBs top 10 games of the next decade to know if any of them made the cut. Being in the top 10 for a decade is a tough thing. There are a lot of games that launched this past decade like Batman: Arkham City, Journey, Borderlands 2, Bioshock Infinite, Hellblade: Senuas Sacrifice and more that do deserve attention. They are not only games but works of art in their own right.